As the cold winds of fall begin to blow across the plains, I seek out comfort food to ease my way into icy winter months. Lo and behold, free Little Debbie cupcakes appear. Perfect! • 14" Lenovo IdeaPad Y450 Dual Core Laptop for $549 plus free shipping (normally $719 - use coupon code USPY450EM10). • Metal Gear Solid 4 (PS3) for $20 plus free shipping (normally $29). • Little Debbie Cupcakes for $0 (use this form). • 17" HP G70t Core2Duo Laptop for $549 plus free shipping (normally $830). • 16" HP Pavilion HDX16t Core2Duo Laptop with Blu-ray for $799 plus free shipping (normally $1299). • 24" Dell ST2410 Full HD Widescreen Monitor for $189 plus free shipping (normally $259). • 23" Samsung 2333SW Widescreen LCD Monitor with Logitech Keyboard and Mouse for $161.99 plus free shipping (normally $235 - use coupon code D8JCZ8T7RL5NF4). • 22" Dell ST2210 HD Widescreen LCD Monitor for $144 plus free shipping (normally $199). • Western Digital Elements 500GB Portable USB 2.0 Hard Drive for $79.99 plus free shipping (normally $100). • Samsung ML-2510 Monochrome Laser Printer for $54.99 plus free shipping (normally $94 - use coupon code EMCMLLT33). • Guild Wars: Eye of the North (PC) for $14.99 (normally $21.49). • Dig Dug Remix (iPhone/iPod Touch) for $2.99 (normally $4.99). • Red Faction Guerrilla (360) for $29.98 plus free shipping (normally $36.99). • 40" Toshiba 40XV648 1080p 120Hz LCD TV for $872 plus free shipping (normally $981). • 40" Sony BRAVIA KDL-40VE5 1080p 120Hz LCD TV for $809.99 (normally $936). • 37" Toshiba REGZA 37CV510U 720p LCD TV for $499.99 plus free shipping (normally $530). • Polk Audio Monitor 30 Bookshelf Speakers for $87.99 plus free shipping (normally $111 - use coupon code EMCMLLT47). • Boston Acoustics Micro120x Satellite Bookshelf Speaker (Single) for $49.99 plus free shipping (normally $175). • South Park: The Complete Twelfth Season Blu-ray for $29.49 plus free shipping (normally $47). • Canon EOS Rebel T1i 15.1MP DSLR Camera with EF-S 18-55mm Lens and Canon Photo Printer for $843.95 plus free shipping (normally $1204 - use this form). • Garmin nuvi 205WCS GPS for $130 plus free shipping (normally $205). • Jawbone Prime Bluetooth Headset for $63.99 plus free overnight shipping (normally $99 - use coupon code ACC20). • Subscription to Car and Driver for $0 (use this form). • Subscription to Town & Country Magazine for $0 (use this form). • Subscription to Fast Company for $0 (use this form). • GoGoPop (iPhone/iPod Touch) for $0 (normally $.99). 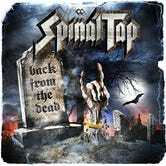 • (Listen To The) Flower People by Spinal Tap (MP3) for $0 (download here).